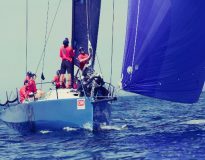 Fasten your seatbelts, stow your tray tables and get ready for takeoff - CRC Bay of Islands Sailing Week is just one week away! Even if you sail with us regularly, please pay attention to the following important messages. And don't hesitate to contact a member of the crew if you have any questions. 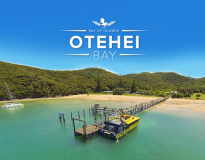 Experience Northland's ultimate island destination - Otehei Bay - with the newest member of our valued sponsor family - Explore. 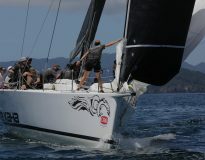 With two weeks to go until New Zealand’s biggest and best-loved multi-day sailing regatta, CRC Bay of Islands Sailing Week, organisers are again predicting a record breaking year in terms of entry numbers. 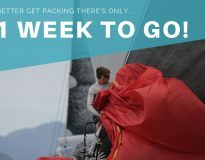 Counting down – two weeks to go! Happy New Year! 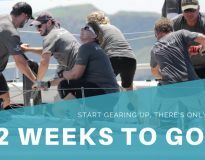 The countdown is on to CRC Bay of Islands Sailing Week 2019, with just two weeks to go until NZ’s biggest and best keelboat regatta kicks off on 22nd January.